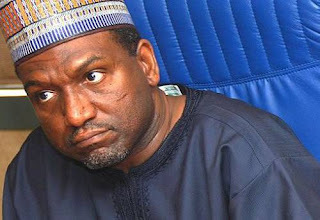 Bulk Pack Services Limited, a beverage package manufacturer and supplier owned by Alhaji Sani Dangote, the younger brother of Alhaji Aliko Dangote, was taken over by Asset Management Corporation of Nigeria (AMCON) yesterday as part of the corporation’s recovery efforts. The Receiver, Mr. Urua Essien, confirmed that he took effective control of the company following the failure of the company to repay their outstanding debt. “The Receiver immediately sealed off the premises of the company located at Dangote Regional Office, Oluwole Ladipo Street, Off Oba Akran, Ikeja, Lagos,” according to a statement yesterday. Bulk Pack Services Limited, which is affiliated to Dangote Group specialises in the manufacturing and supply of packages for major beverage companies like Dansa Foods Limited. Dangote Group is a multinational industrial conglomerate in West Africa and one of the largest in the African continent. In 2015, the group generated revenue in excess of $3billion. It is the leading diversified business conglomerate in Africa with interests across in range of sectors in Africa including cement, sugar, flour, salt, pasta, beverages and real estate.